I was elated to find out I was a host for a Hearts for Hearts Girls party. 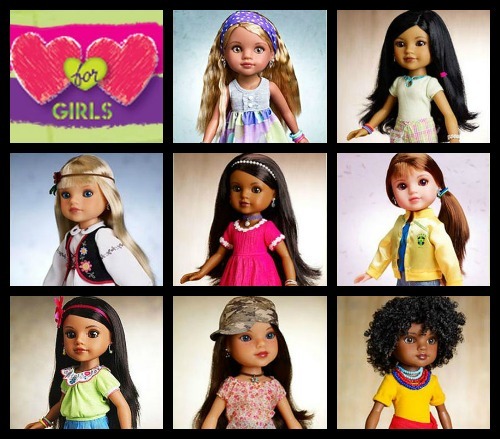 The Hearts for Hearts Girls are dolls that represent different countries around the world. There are so many young ladies in other countries, many even in the US, that are not getting the proper medical attention, education or support that is needed. Too many are going hungry and thirsty, this angers me to think about all the food that is thrown out daily. For every Hearts for Hearts Girls doll that is purchased some of the money that is made is donated to World Vision, to help girls in other countries for whatever they may need. My Hearts for Hearts Girls party started out a little slow some of the little girls weren't understanding. So I realized I had to explain things in a way that any age could understand. I explained how not every girl around the world has what we have, some done have food, some can't go to school and some don't have a home. The girls then understood. We chatted a little bit about helping and donating and all the good things we can do right here at home. I had received two dolls in my party package, one was Lauryce from USA and Consuelo from Mexico. A lot of the girls had either seen or already owned a Hearts for Hearts Girls doll. Which made me so happy to know. I handed out little "passport" booklets and stickers for the girls so they could draw themselves as a doll and then we went through and said "Hello" in eight languages. 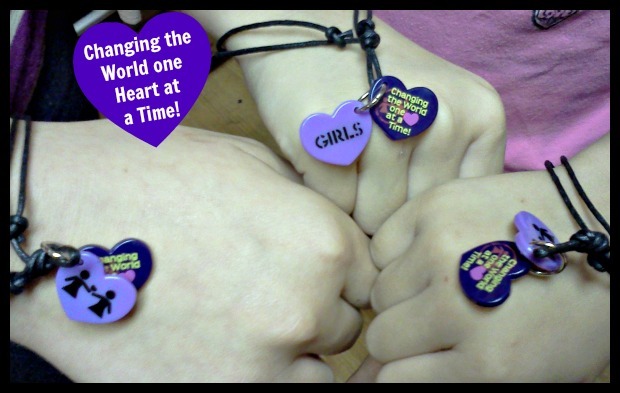 I had also received 20 bracelets to give to the girls, one for themselves and one for them to pass on to a friend. We then talked a little bit about each of the dolls that Hearts for Hearts Girls has available and a couple of the girls showed us which one they had. Then it turned to mostly playing, eating, drinking, more eating, more playing and lots of giggles. 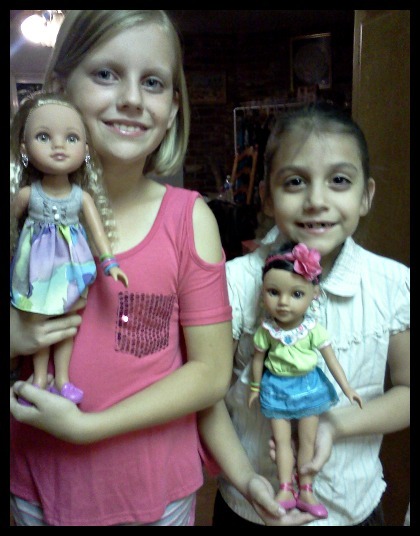 The girls played with the Hearts for Hearts Girls dolls Lauryce and Consuelo. Don't they look a little like the dolls?! We ended the party with smiles and hugs. The girls want to get together again soon and have a tea party, I think that sounds like a lot of fun, but next time we should have it at a restaurant. I was also given some great coupons to hand out to the Mommy's while leaving. They were thrilled, I hope all the girls buy a Hearts for Hearts Girls doll, both Mommy and daughter will be happy to know they are helping another little girl somewhere around the world. Disclosure: I was selected to be a MommyParties host as part of a promotional program with MomSelect. All opinions are 100% my own. Thank you Hearts for Hearts Girls and MomSelect for an awesome party!